STAR OF MEN BEHAVING BADLY, NEIL MORRISSEY AND COLD FEET’S JOHN THOMSON ADDED TO LINE UP FOR THE BIG MOUTH COMEDY FESTIVAL! Following its successful introduction earlier this year, Portsmouth Guildhall’s Big Mouth Comedy Festival is set to return on 1-8 March 2019, with Q&A sessions with the legendary Neil Morrissey and John Thomson the latest additions to be announced in what is set to be a fine four days of folly, frivolity and tomfoolery guaranteed! 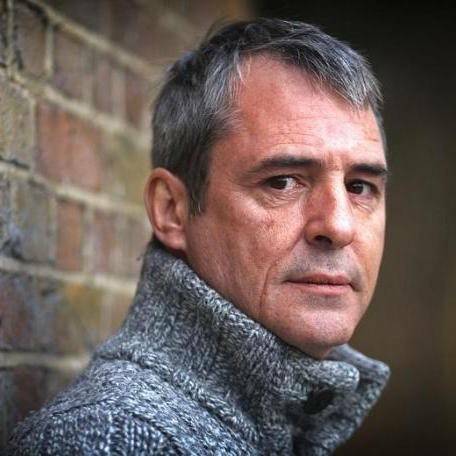 Neil Morrissey, best known for his role as Tony in Men Behaving Badly, is also well known for his roles as Eddie Lawson in Waterloo Road, Nigel Morton in Line of Duty, Rocky in Boon and for providing the voice to Bob, Lofty, Skip and others in Bob the Builder. 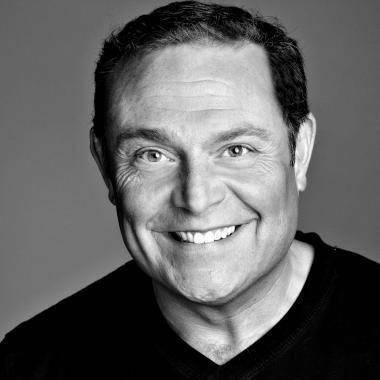 Having been at the forefront of British television for over 20 years, actor, writer, impressionist and comedian, John Thomson is best known for his roles in The Fast Show and Cold Feet. Put your questions to Neil and John and hear their funniest and favourite moments from their careers in relaxed Q&A sessions hosted by Craig Murray, the face of Plusnet, as part of The Big Mouth Comedy Festival on Saturday 2nd March 2019. This day also celebrates the Best of the Fringe as the stars of Live at the Apollo, Mock the Week, Comedy Central and more take to the stage including Geoff Norcott, Ivo Graham, Dane Baptiste, Nigel Ng, Suzi Ruffell and John Moloney. Described as “A right laugh” The Guardian, Geoff Norcott’s career catapulted after his set on Live at the Apollo and role as correspondent on Mash Report. His BBC Radio 4 special, Right Leaning but Well Meaning has received high praise and he is due to make his debut on Mock the Week this Autumn. Original, provocative and exceptionally prolific, Dane Baptiste is being hailed as one of the most exciting acts to break in years. The stand-up made comedy history in 2014 as the first black British act to be nominated for a comedy award at the Edinburgh Fringe Festival. Having grown up in Malaysia and lived in America for 5 years, Nigel Ng is just relieved that (most) people in the UK get his jokes too, as evidenced by winning the prestigious Amused Moose Laugh Off 2016 award and being runner up of the Laughing Horse New Act of the Year, 2015. Known for being on Comedy Central’s Standup Central, Nigel is described, “As slick as they come”, Chortle. Suzi Ruffle’s innovative style captivates audiences with her engrossing tales of social ineptitude, celebrating her working class roots with a sideways look at the world. In constant demand throughout the UK and on screen having appeared in two series of Comedy Central’s The Comedy Store and Comedy Roast Battle, Ruffle is lauded as a “Real stand-up gem” The Guardian. With over 25 years as a professional comedian under his belt, John Moloney has entertained audiences across the globe with his crafted, intelligent and original stand-up routines. Winner of the Best Live Performer award for 2 years running at London Comedy Festival, John is one of Britain’s most in demand acts. This latest announcement follows the recent launch of the opening night of the Big Mouth Comedy Festival on Friday 1st March starring absurdist genius Milton Jones with a special festival set featuring new material and some of his funniest ever bits and supported by one of the finest female comics at work, Jo Caulfield. Now also added to this exciting opening night line-up is Ivo Graham, who with a gauche charm and crafty, self-aware wit is “One of the best young comedians around” Time Out, who at the age of 18 became the youngest ever winner of the prestigious ‘So you think you’re funny’ award at the Edinburgh Fringe and has since becoming a regular fixture on our screens including Live at the Apollo, Mock the Week, Edinburgh Comedy Festival Live and shows on BBC Radio 4, Five Live and XFM. The Big Mouth Comedy Festival offers a further 2 nights of fun and frolics on Thursday 7th March with a side-splitting Comedy Drama and Friday 8th March with a night of the UK’s hottest new acts! Brought to you by Portsmouth Guildhall and local comedian, actor, writer and compere for the Festival, James Alderson, Big Mouth Comedy Festival is supported by Capital FM.